This blog is the third in a series from Rabbis Organizing Rabbis connecting the Omer to Immigration Reform. This Shavuot, we recommit ourselves to working with the modern-day strangers among us. This Shavuot, we stand with Ruth. Rabbis Organizing Rabbis is a joint project of the CCAR’s Peace & Justice Committee, the URJ’s Just Congregations, and the Religious Action Center. Learn more and join the mailing list. In our kabbalistic tradition, Tiferet, this week’s value, is understood as the mediating force between Chesed (‘compassion’ or ‘lovingkindness’) and Gevurah (‘strength’ or ‘judgment’). Most often translated as “adornment”, Tiferet is the sixth sefirah in the Tree of Life. It is often associated with both ‘integration’ and ‘balance’. The opposing forces of Chesed and Gevurah are, respectively, expansive (giving) and restrictive (receiving). Either of them without the other could not manifest the flow of Divine energy; they are held in delicate proportion by the careful balancing power of Tiferet. Let us consider the debate over immigration reform in our country in light of this (political) juxtaposition and the need for (societal) balance. Those who oppose the growing influx from other countries of people seeking economic and political advancement often employ ‘judgment’ as their main argument, taking the position that too many are breaking or evading the law, and are considered ‘illegal’; they therefore do not deserve the benefits that our country has to offer. Those trying to effectuate reform quite often invoke ‘compassion’ on their side, reasoning that since we are in many ways a nation of immigrants, history compels us to make a way for the outsider, and especially their children, to become participating American citizens. As we count the Omer and slowly build up to Shavuot, we are mindful of the life of our ancestor Ruth. A Moabite woman by birth, she chose to cast her future fate with her mother-in-law Naomi, and to move with Naomi to a new home, the land of Judah. There Boaz took her in and cared for her, accepting her as one of his own, treating her with the dignity and respect due each person created in God’s image no matter their country of origin. But let us also remember that Ruth worked for Boaz and with Boaz as she strove to join his family permanently. Accepted at first, she also earned her ultimate right to stay. Boaz’s accepting attitude combined with Ruth’s willingness to contribute can model a useful approach to the immigration controversies now stirring up passions on both sides in our own country. Politics is fundamentally about compromise, and in the long run this issue will be no different. We seek Tiferet, the right balance between Chesed and Gevurah. But as we struggle to achieve that political goal, let us remember that, as Jews, we stand with Ruth. 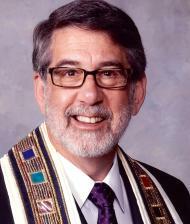 Rabbi Jonathan Stein serves Congregation Shaaray Tefilah in New York City.